SOFIA - Stock Flight Systems - Designed to fly. 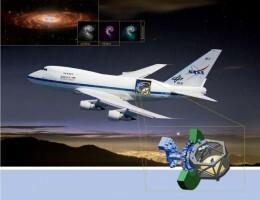 NASA and the German Aerospace Center DLR, are working together to create SOFIA - a Boeing 747SP aircraft modified by L-3 Communications to accommodate an optical telescope with a reflecting surface of 2.5m at the primary mirror. The Observatory is being developed for NASA and DLR by a team of German and American industry experts led by the NASA Dryden Flight Research Center. SOFIA makes extensive use of CANaerospace and a number of Network Extended Control System (NECS) computers developed by Stock Flight Systems. 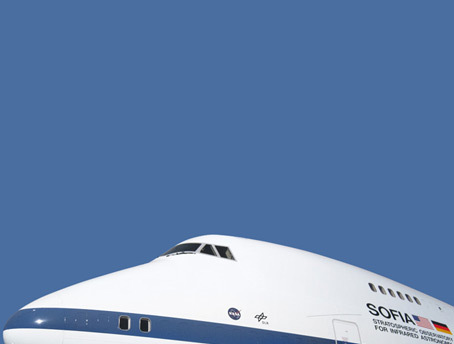 SOFIA will be the largest airborne observatory in the world, and will make observations that are impossible for even the largest and highest of ground-based telescopes. 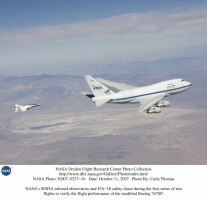 It will be based at NASA's Dryden Flight Research Center, adjacent to Edwards Air Force Base in southern California. SOFIA's science and mission operations center will be at NASA's Ames Research Center in northern California.Under contract with the DLR, MT Aerospace and Kayser-Threde lead a consortium of German companies to build the telescope for the SOFIA project. 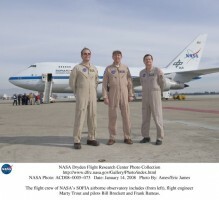 MT Aerospace provided the system to insulate the telescope from vibration while in flight, the telescope rotation control using a spherical torque motor and the inertial stabilization systems and telescope supporting structure for the optical subsystem. Kayser-Threde's responsibilities for the telescope included the development of the optical subsystem including the 2.5 m lightweighted mirror together with the mirror cell structure, the scientific instrument flange, the star tracking subsystem and master control processor, a 45 kVA power distribution system and the aircraft and telescope wire harness. After substantial investigation and trade-off studies, both MT Aerospace and Kayser-Threde have selected CANaerospace as realtime communication bus for several highly mission critical SOFIA subsystems. 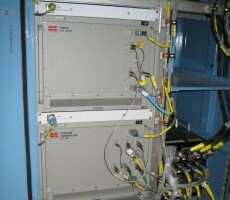 The CANaerospace buses travel through the entire aircraft and provide the connection between VME-based host computers and numerous Network Extended Control Systems (NECS) performing functions such as star tracking control positioning, pressure window control and temperature/pressure monitoring around the telescope assembly structure. Also, operator station annunciation panels are integrated into the CANaerospace network. The CANaerospace Host Interfaces and NECS computers were developed and delivered by Stock Flight Systems. Extensive testing of electromagnetic compatibility was conducted and proved the excellent reliability of CANaerospace and the NECS hardware.